Inspired by the city’s neon lights and New York skyscrapers these 18 carat white gold earrings combine some bold geometric shapes and balance. 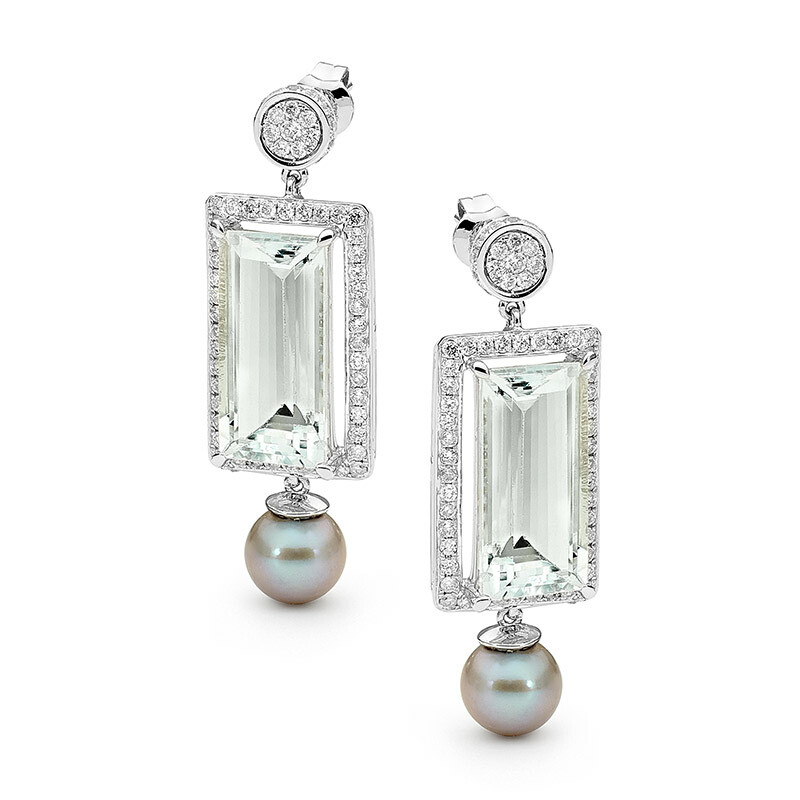 Wear with the little black dress for some luxury, glamour, and exuberance. This item is made to order. Please allow 6 weeks for delivery. Learn more about the properties and meaning of Aquamarine.